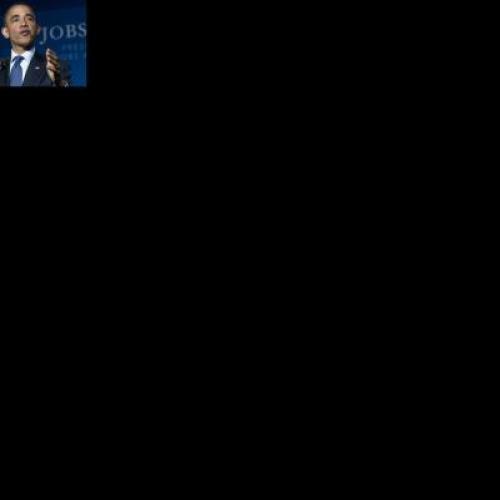 Obama Talks Jobs, Tax Cut -- Is This the 'Pivot'? Waiting for the national political conversation to "pivot" away from deficits and towards jobs? It looks like President Obama wants to help. Obama is in North Carolina today. During an afternoon discussion about the ongoing bipartisan talks to raise the debt ceiling, he made clear he wanted the final agreement to include short-term measures designed to strengthen the fragile economic recovery. One thing I do think is important is we are keeping our eye on the need to accelerate the recovery as part of the overall package that we agree to. I’ve long believed that coming out as bad of a recession as we’ve been in it’s important for us to focus on what the real drivers are of our debt and deficit problems. And that’s not the day-to-day spending. It’s the structural problems that we’ve had between spending too much money and not bringing enough money in. This isn't the first time in recent weeks or months the president said he wanted to strengthen the economy. Remember, he's already proposed extension of research tax credits, the creation of an infrastructure bank, and other interventions that would increase job growth (though still not as much as I would like). Last week, Obama hinted that he wanted another payroll tax holiday, like the one he helped secure as part of last year's final spending agreement, and recent leaks suggested that White House policy advisers were talking about the possibility. But, unless I'm mistaken, this is Obama's most explicit statement about extending the payroll tax cut and, more important, about including some sort of economic booster as part of the debt ceiling talks. (It's not been a part of the discussion so far, according to a Democratic source familiar with the discussions.) Also, Obama did this during a series of events designed to focus attention on the economy. The occasion for his North Carolina visit is a visit to a high-tech factory, where he's also meeting with an advisory board of CEOs and local small business owners. If I'm right -- and, again, maybe I'm missing something -- then we may finally be starting a discussion of how to balance short-term measures to bolster growth with long-term efforts to reduce deficits. Most Americans seem to think the two goals are in conflict and, as you may have noticed, the Republicans are happily playing along. But most economists believe otherwise and, in just the last two or three weeks, three of the president's former economic advisers (Jared Bernstein, Christy Romer, and Lawrence Summers) have made the case for additional stimulus. Obama is signaling he agrees. That's an encouraging sign, particularly if it's the beginning rather than the end of his efforts. By the way, TPM's Brian Beutler reports that House Majority Leader Eric Cantor was non-committal about the possibility of extending the payroll tax holiday. The extension of one payroll tax holiday is not enough to produce the kind of growth we want, or need, but it's a start. And Cantor's comments, or lack thereof, suggest it could actually pass.